As Decanter’s Head of Events, Victoria Stanage DipWSET manages the team behind the world’s largest wine competition. She tells us how she landed the role and gives us the insider’s guide to what goes on behind the scenes. Having started your career in the hospitality sector in Kentucky, USA, what brought you to London? Traveling through Europe in 2006 gave me a taste of a life I felt certain I needed to explore. At the time I was the Bar Manager at Jack Fry’s, a fine dining restaurant in Louisville, Kentucky, where I thoroughly enjoyed curating the wine list. My plan was to live a year in Barcelona and then return to the States to do my second level Court of Master Sommeliers certificate and try my hand at distribution, selling wine to on premise accounts. One year in Barcelona stretched into three and although I was bartending at the Ritz-Carlton, I really missed feeling connected to wine. 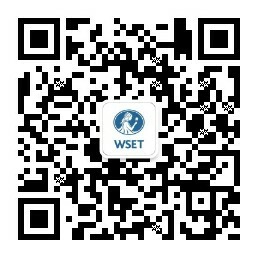 I started ‘Googling’ wine courses to get back in the game, which is when I discovered WSET. In 2010, I did the WSET ‘novice to professional’ course through WSET School London, which is a fast-track to the Level 3 Award in Wines. The experience inspired me to move to London to get involved in the UK wine trade, and I set my sights on the WSET Diploma to see where in the world that could lead me. It was Chris Ashton, Director of International Wine Challenge, who gave me my first break in the business with the 2011 Wine Challenge. After that I started applying for anything and everything to build up some experience and get my foot in the door. Later that year Christelle Guibert, Tastings Director at Decanter, hired me to write up hand written judge’s notes from the 2011 Decanter World Wine Awards. Christelle then encouraged me to apply for the Events Executive position at Decanter. After my first event at Decanter I thought to myself, why had I never thought of doing events before? With a strong background in food and beverage, a head for logistics and figures and a passion for projects, I knew this career path was a great fit for me. Building wine knowledge and honing my tasting skills was something I set out to do no matter what job I ended up doing. In your experience, how does the wine and spirits industry in the UK compare to that in the US? There is more focus on Sommeliers in the US; I find more emphasis on academic performance in the UK. Speaking generally, the US is a much younger market, without such a longstanding collective opinion about regions or styles of wine, they are more willing to embrace new and experimental trends. People in the UK travel a lot more and are therefore more likely to experience wines in the regions or countries where the wine is made, which I find gives people a more holistic appreciation of the wines. The Decanter World Wine Awards (DWWA) is the world’s largest wine competition. What goes in to organising such a major annual event? The Events Team organise the venue logistics, manage 70 front of house staff, plan daily food and beverage for nearly 400 people, sort supplies for six tasting rooms and oversee the overall flow of the entire two weeks of judging. The Global Sales Team are dedicated to signing up over 17,000 entries, answering and sorting thousands of queries, payments and shipping issues. They also support the Marketing Team who work diligently to promote the winners throughout the year. The Tastings Team are responsible for a multitude of behind the scene tasks such as sorting and logging details for about 70,000 bottles, categorising the wines and grouping them into flights, managing 250 judges and allocating them into regional judging panels. Other key departments involved are Design, Digital and Editorial teams. My role as Head of Events is to bring all of these departments together and communicate what is needed to keep to schedule. The biggest challenge for me is keeping on top of the sheer volume of critical details involved - this could be anything from accounting for the 49,400 Riedel glasses we use or whether 120 kilos of cheese and 2,796 bottles of water will be enough to get through two weeks! Flexibility is essential. There are always changes at the last minute so you need to think on your feet when issues arise. The judging process at the Awards is notoriously rigorous. What is the criteria to be considered to judge at this expert level? There are about 35 Regional Chairs, who are respected industry leaders well known in a particular field for their expertise. These Regional Chairs oversee a panel of judges, many of whom have a trusted track record with the DWWA. When recruiting new judges, research is done to find the emerging names in wine across the world and recommendations from the judging network are a great place to start. Credentials such as MW and MS definitely weigh in on the decision process. All Regional Chairs and Judges report to the four Co-Chairs who are appointed to confirm all Gold and Platinum medals and settle any disputes alongside our Chairman Emeritus Steven Spurrier. As someone on the operations, as opposed to tasting, side of Decanter events, why did you decide to complete the WSET Diploma? Having a professional level of wine knowledge makes creating great wine events a lot more fulfilling for me. With this high level of understanding I am able to contribute to the creative brainstorming phase of each event and offer insight into what I think would work across our global markets. It is very satisfying when an event comes to life and I get to experience people enjoying something I am so passionate about. Building wine knowledge and honing my tasting skills was something I set out to do no matter what job I ended up doing. I made some amazing friends and industry contacts during my Diploma studies and I know that we will stay in contact for the rest of our careers. DWWA Judging Week starts 30th April and results are published on 29 May online at Decanter.com. You can connect with Victoria Stanage DipWSET on LinkedIn here.